Social media marketing has changed dramatically in the past 10 years. The list goes on, but suffice it to say that marketing on social media isn't what it was. So what is it? What's the value of social media? Ultimately it comes down to a single idea: your business' target market IS on social media. All you need to do is get them from there to your website and then get them to buy. So if that's the case, creating a successful sweepstakes is the answer. There is no more effective tool to turn those social media users who are within your target market into contacts and sales leads. This article will walk you through how you can create a modern, successful sweepstakes online. The best way to ensure a successful online sweepstakes is to attach it to something that your target market is already thinking about. Our most successful sweepstakes are always ones that coincide with a holiday, a current event, or an industry-relevant celebration (like Comic-Con, or the 50-year anniversary of Ben & Jerry's). People don't need a reason to enter your sweepstakes, but believe me when I say that grabbing onto a theme is like grabbing onto a runaway train. You'll get where you want to go a lot faster than on your own two feet. So your first step to creating a successful sweepstakes is to identify something you can attach your campaign to. This can be as simple as "Get ready for beach season! 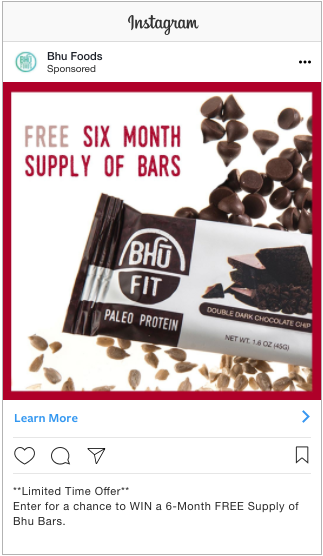 Enter for a chance to win six-months free personal training!" Or, it can be as complicated as "Back-to-School season is coming fast! Enter for a chance to win a brand new AcmeFace backpack stuffed to the zippers with school supplies. Prize valued at more than $350!" 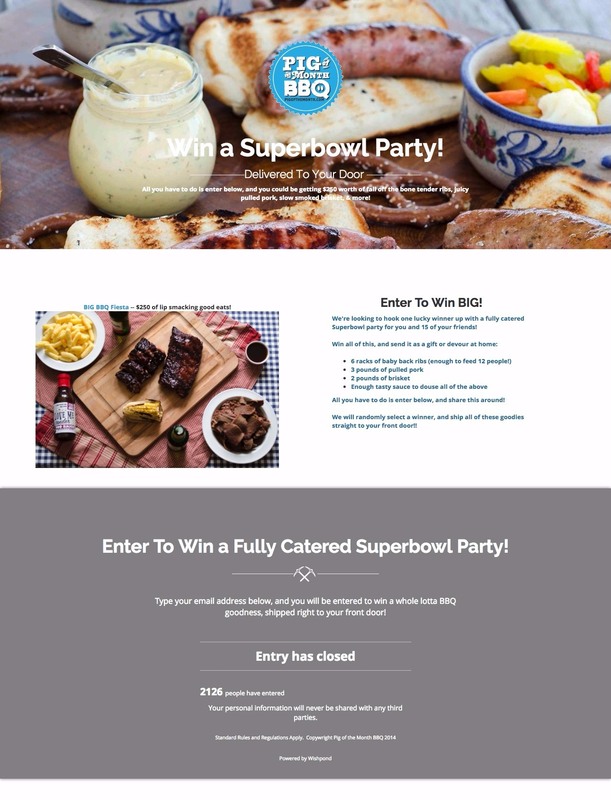 Of course your sweepstakes doesn't have to tie directly into a theme. If you're just getting rolling and want to create a simple, giveaway-style sweepstakes on Facebook or your website, just focus on a great prize and leave the themes for later. Here's a recent example of a successful, themed sweepstakes run by one of our clients which drove over 2,000 entrants. Who are we kidding? 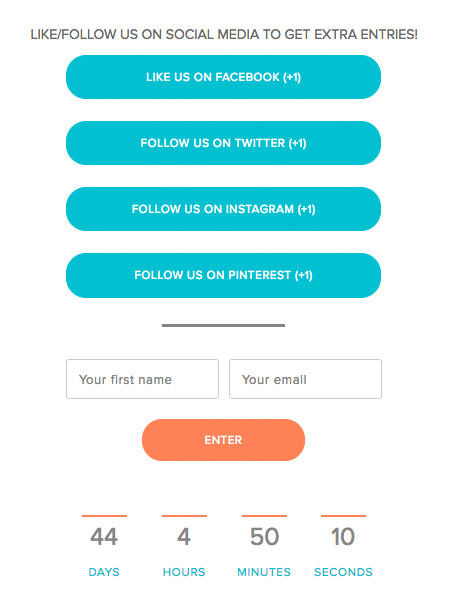 Most people don't enter an online sweepstakes because they love the brand or are super excited about giving people their contact information. They enter because they want to win the prize. Relevant to your business so that only your target market will want to enter (no point in getting contact details of people with no real interest in what you do). Is it just me, or are we talking about one of your products, here? It's true. The best possible prize you can give away in your sweepstakes is your own product or a gift card so people can buy your product. "Prize valued at $500" is great, because (to you) the actual prize value is significantly less. If you give away a MacBook, the prize value is actually what you spent on it… Plus, everybody will enter and nobody will care about your totally unrelated product. Ensure your prize, and its value, are front and center in your sweepstakes' headline. The dollar value, in particular, should be featured. Your sweepstakes' image is about 50% of how you communicate professionalism and value. Feature a picture of the prize (or, if you use a gift card, a few products people can buy with it). Most businesses, including our own, create a single image in Photoshop and then adapt it when creating social media posts, for the campaign and for the newsletter mailout. Make sure it's obvious where people can enter your sweepstakes. Contrast the button color against the page's design. Don't use paragraphs. As much as possible, break your "how-to-enter" and "why" into bullet points so people can quickly and easily understand. Use a countdown timer to encourage people to enter now rather than down the line. Often with online marketing campaigns, a big part of getting people to convert is more about combating their laziness than whether they're sold on your offer. 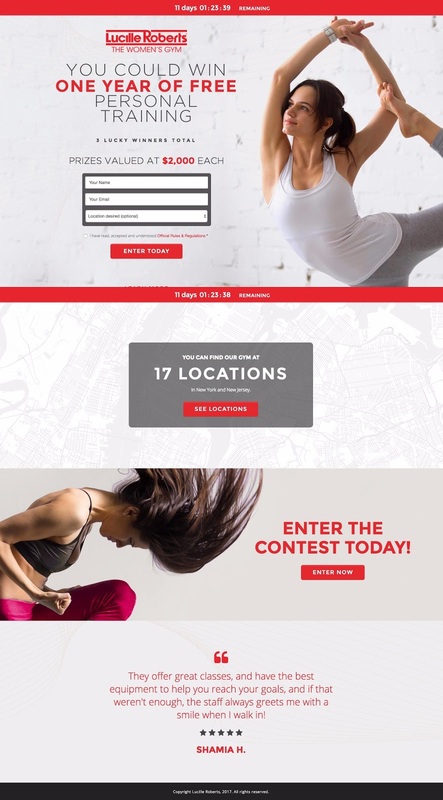 For more on designing your sweepstakes, check out 30 successful examples at 30 Amazing Examples of Branded Facebook Contests. 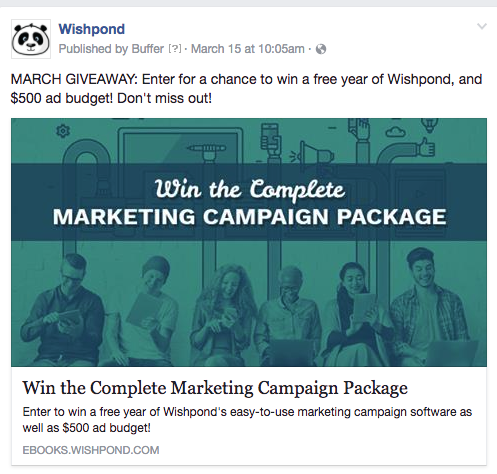 For a walkthrough on choosing the right sweepstakes app, check out "The Leading Facebook Giveaway Apps (Ultimate Guide 2017)." 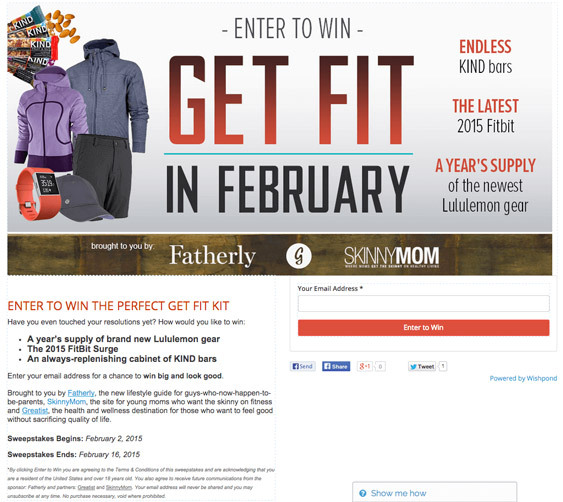 Promoting and getting people to your sweepstakes page is a big part of driving success. Your page might be optimized and awesome, but if nobody sees it, there's no point. Now, you can promote with social media posts and with your newsletter (and you should) but those people are already your contacts. What you need is a strategy to drive new, prospective customers who haven't yet bought from you. These are the valuable leads - the people who will give you a positive ROI from your marketing campaign when they buy something down the line. The best way to drive new people to your sweepstakes is by encouraging your existing contacts to share the campaign on your behalf. And the best way to do that is with a Share incentives. 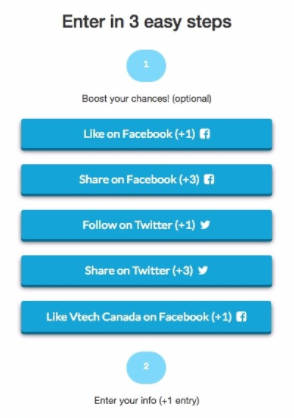 These work by delivering bonus sweepstakes entries to people who share with their network. And, because they're prompted right after they click "Enter," they're never more motivated to share. Many businesses give more bonus entries for different actions (like a share might be worth less than a Page Like, or a Linkedin Share might be worth more than Tweet). Determine how you really want people to share, and give more bonuses for that action. 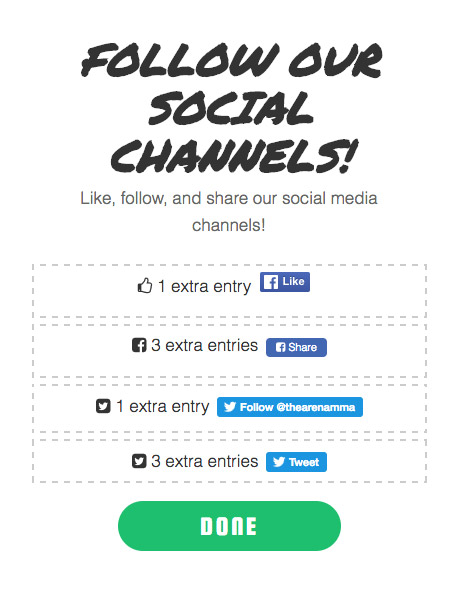 For more tips on creating a social share-oriented sweepstakes, check out our article on “How to Use Incentives to Get More Fans & Followers.” You can also check out "How to Run a Facebook Share Contest: A Step-by-Step Guide." In order for the share incentive strategy to work, you need to get some people to visit in the first place. And that's where social media and your newsletter come in. First strategy is to target your previous customers who haven't bought in a while (your CRM should be able to filter people based on last time they bought). Create an email focusing on the dollar value of your prize. Create another email for everybody else which focuses on entering and then sharing with their friends - even to the point of writing "Have a friend or family member who you think would love a pair of Acme Socks? There's never been a better time for them to try!" Then, of course, you need to spread the word on social media. Use your social media management tool to schedule three to five posts over the course of your two-week contest. In the last couple, remind Fans that there's a limited time to enter. And, if you want, use the same messaging in your Fan-focused posts as you do in your customer-focused emails ("Have a friend...?"). For more on sharing and promoting your successful sweepstakes, check out "How We Run Online Giveaways: A Step by Step Guide." The benefit of advertising your sweepstakes is that you're able to target exclusively those social media users who aren't already Fans or customers. This means that every dime you pay (and you only pay when people click on your ads) means you're reaching a new prospective customer. This is, of course, in contrast to your social posts and newsletter. The first thing you need to know is the average customer lifetime value: How much does someone, on average, spend when they buy from you. And how many times to they do it? Once you have that number, you need to consider how effectively you can turn your sweepstakes entrants into customers. What percentage of entrants do you need to convert to get a positive return on your ad spend and prize value? And how many people do you need to have enter to break even? If you'll get a positive return on investment by only converting 5% of your contest entrants, then I'd recommend you do dive into social media ads. if, however, you realize that spending $500 to drive 500 contest entrants (which is on the good side of average) and then only converting 25 of them (5%) doesn't actually give you a positive ROI after you subtract the prize value and $500 ad budget, then I'd either focus on strategies to convert more of your leads or increasing your customer value. For more on advertising your sweepstakes on Facebook, check out "How to Ensure a Successful Online Contest with Facebook Ads." For a complete guide to Facebook advertising from beginning to end, check out The Complete Guide to Facebook Advertising. Hopefully you've chosen a sweepstakes app which enables you to quickly and randomly select a winner. As soon as you've emailed or direct messaged that winner and they've accepted the win, reach out to your other entrants to let them know. This email is the most important part of the entire campaign. After all, unless you have a strategy in place to turn your sweepstakes entrants into paying customers, there's little point. Your ad spend, your prize value, the time you spent… It'll all have done little more than create a little buzz around your brand and maybe some awareness. And those things are great, but they don't put food on the table. The best strategy for turning entrants into sales is with a limited-time discount exclusive to them. 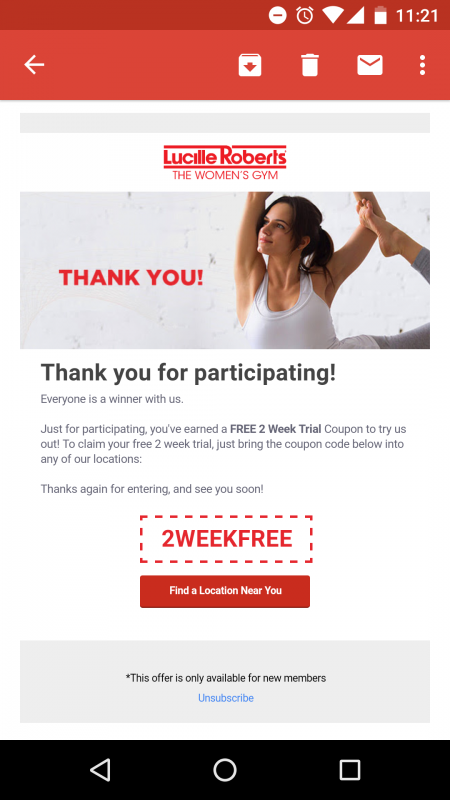 Be sure the discount or coupon is valid specifically for what they wanted to win (if your prize was a women's shopping spree, don't create a coupon for a men's wallet). And be sure, as well, that the discount is actually available for a limited time. 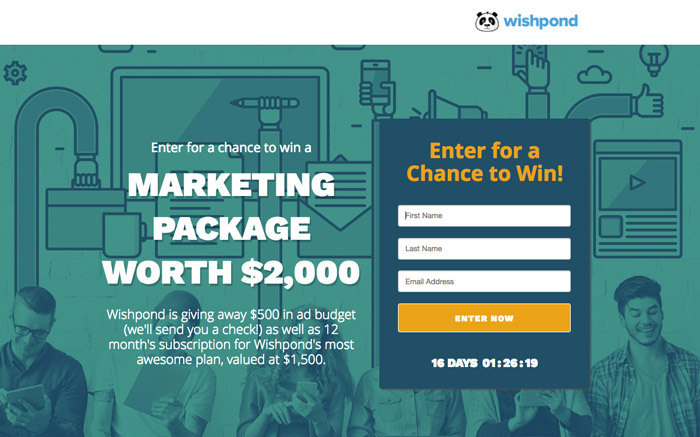 Send another email a couple days before the credit/coupon expires reminding your sweepstakes entrants that they only have a few hours to take advantage of the discount. 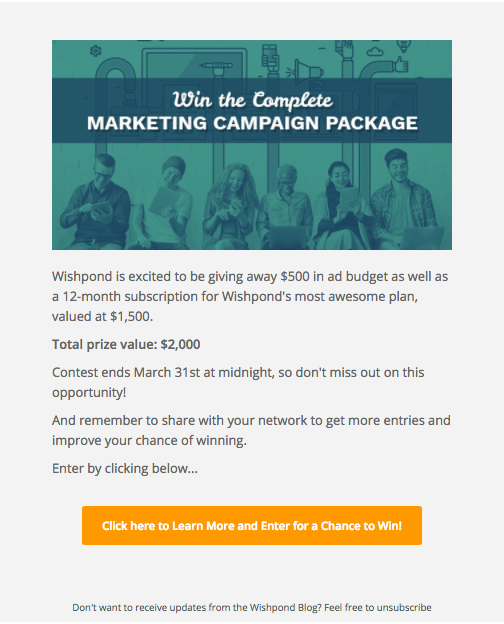 Ensure your sweepstakes entrants are in their own email list/segment. You want to be able to contact them specifically next time you have a sweepstakes or when the product they wanted to win goes on sale. For more on announcing and notifying your sweepstakes winner, check out "5 Best Ways to Announce & Notify Contest Winners (With Examples)." 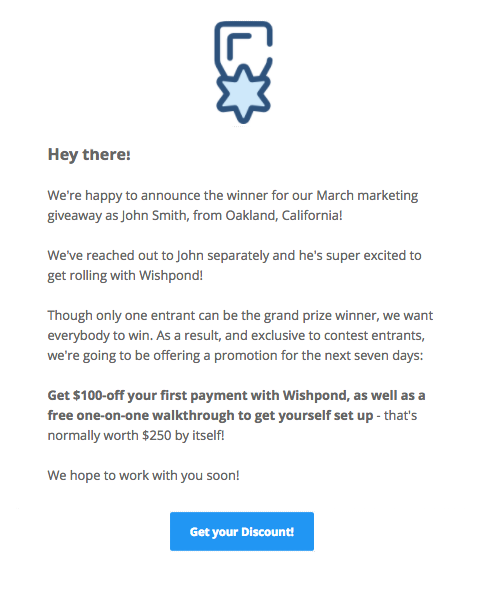 For more on converting entrants into leads, check out "How We Run Online Giveaways: A Step by Step Guide. Hopefully this walkthrough has given you a better idea of how to get rolling with creating a sweepstakes. Focus on the best practices I listed above, choosing the right prize, attaching to a theme (if applicable) and then following up with a complete post-sweepstakes strategy. And if you have any questions about getting set up, don't hesitate to reach out in the comment section below!